Richard Wagner had supernatural, strange sounds in mind for the leitmotif of the Temple of the Grail in his ‘Bühnenweihfestspiel’ (Festival Play for the Consecration of the Stage), Parsifal, and he required a new instrument that could produce them. He called this instrument ‘Grail Bells’. The motif of the Grail in the first and third acts of Parsifal originates in the deepest bass register and is designed to send a sacred shiver through the listener. The powerful, bell-like notes lie at almost unattainable depths: C – G1 – A1 – E1. 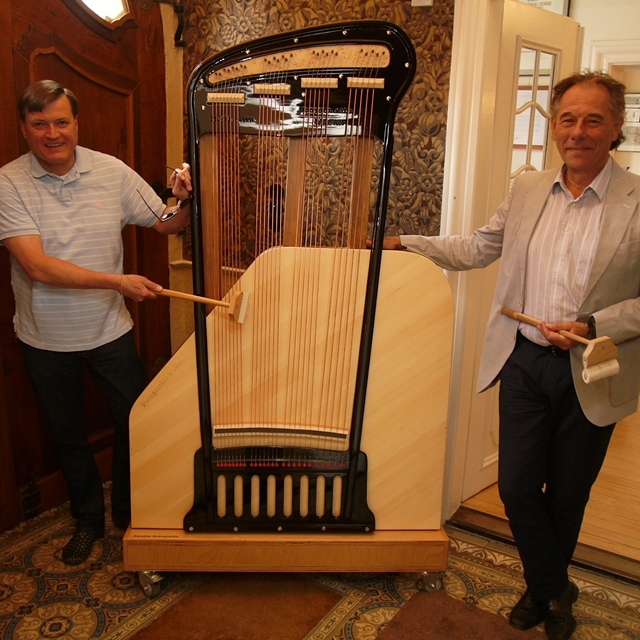 Steingraeber has now built a replica of this historic instrument, and it is ready to be played in Bayreuth. Udo Steingraeber demonstrates the historic three Parsifal Bells. The conductor Hartmut Haenchen was very glad to have sound samples of the new Parsifal Bells (replika 2015) during the Richard Wagner Festival in Bayreuth 2017. In March, 2016, the annual Bayreuth Festival “Zeit für Neue Musik” took place. For the first time, the new Parsifal Bells were played during a concert in Wagner’s home “Wahnfried”. 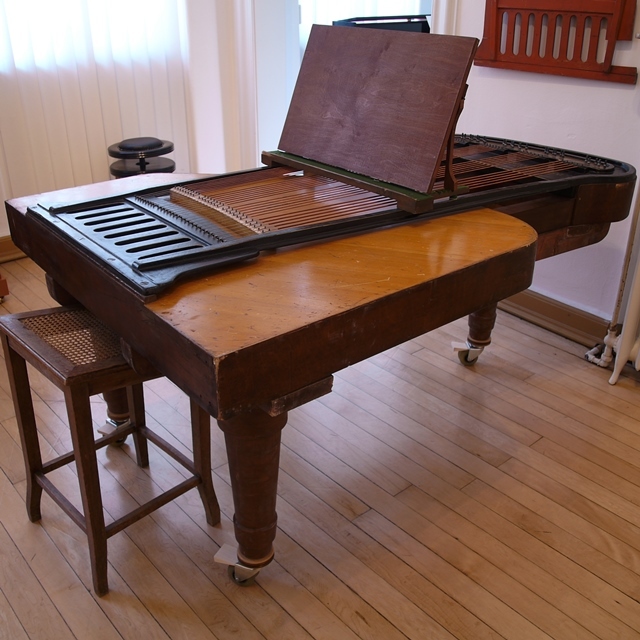 In 1882 delivered to Richard Wagner an instrument with a tall, narrow case in the shape of a piano. 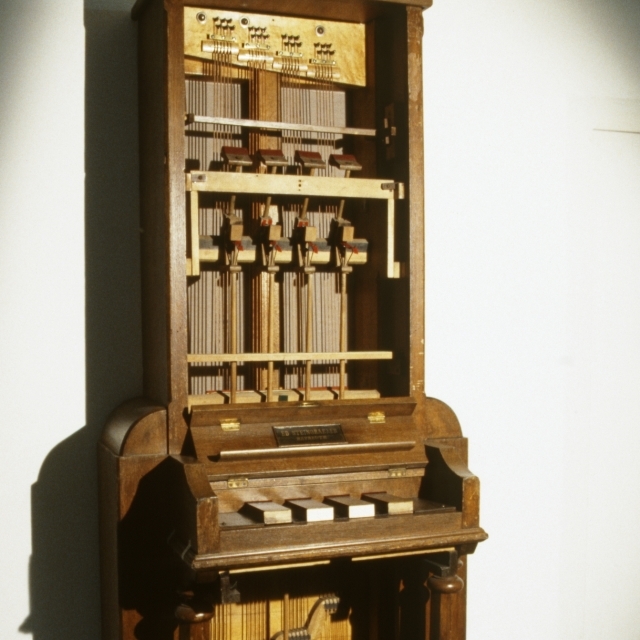 This first set of Parsifal bells was actually a piano, a keyboard instrument with four keys. 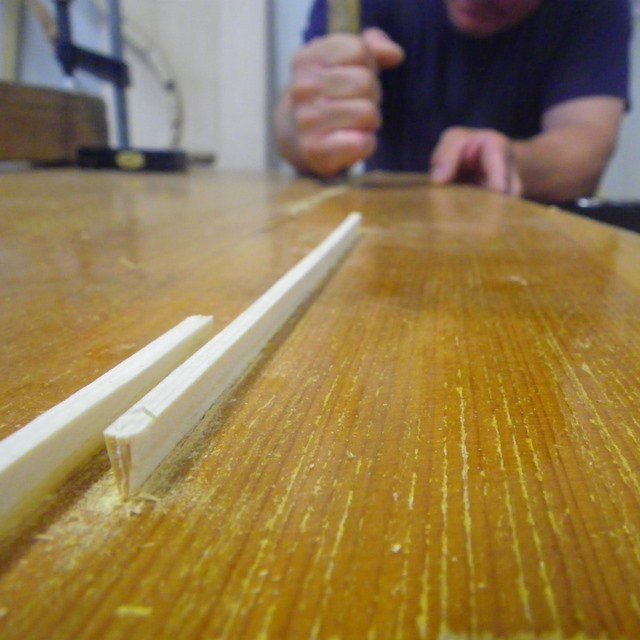 At 220 centimetres, the extraordinarily long strings were to be struck by four, 8 cm wide hammers, and the keys were 7 centimetres wide. As far back as spring 1879, Wagner asked Eduard Steingraeber if it would be possible to produce the four pitches of the ringing bells in Parsifal on a piano-like instrument with large hammers and wide keys. 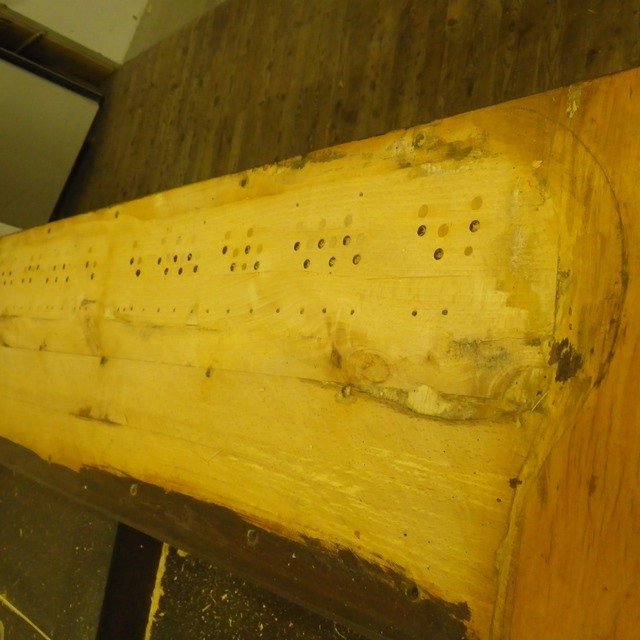 And he informed the piano maker that they were C, G, A, E in the lower bass register. In August 1881, Wagner gave the contract to Steingraeber. The Parsifal bells are a classic example of Wagner’s special instruments. Richard Wagner required four bells with up to twenty notes lower than c0, the strike tone of one of the Pummerin in Vienna’s St. Stephen’s Cathedral, which is of the lowest bells in use in the entire world, weighing over twenty tons with a diameter over three metres. To produce his contra low-E bell, Wagner would have needed over 280 tons of cast iron and a diameter of about eight metres! 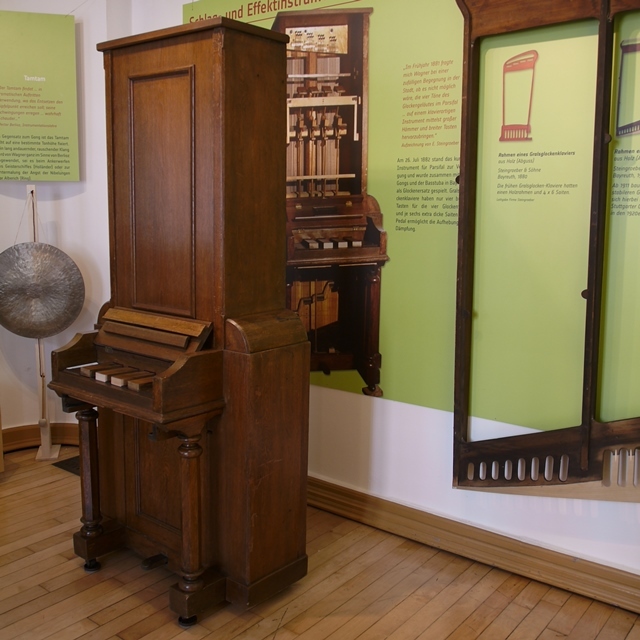 Another Parsifal bells piano manufactured by Steingraebr in 1912-1914 was to be seen at Steingraeber Haus in 2013 and, before, in the Leipzig Museum für Musikinstrumente. 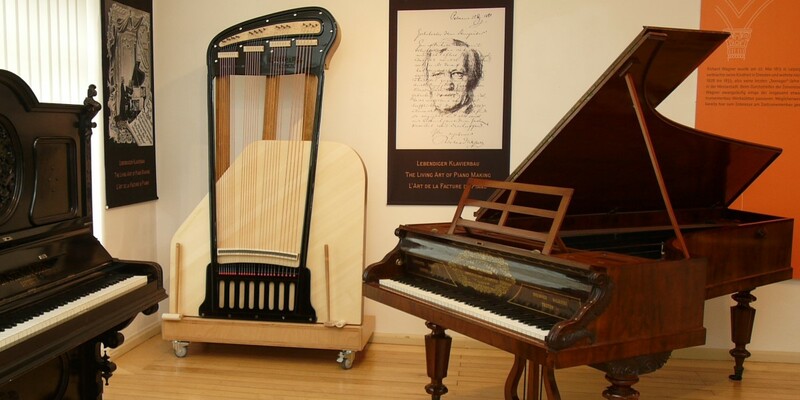 The exhibition was called „Goldene Klänge im mystischen Grund: Musikinstrumente für Richard Wagner“ and was a great success in Leipzig and Bayreuth. 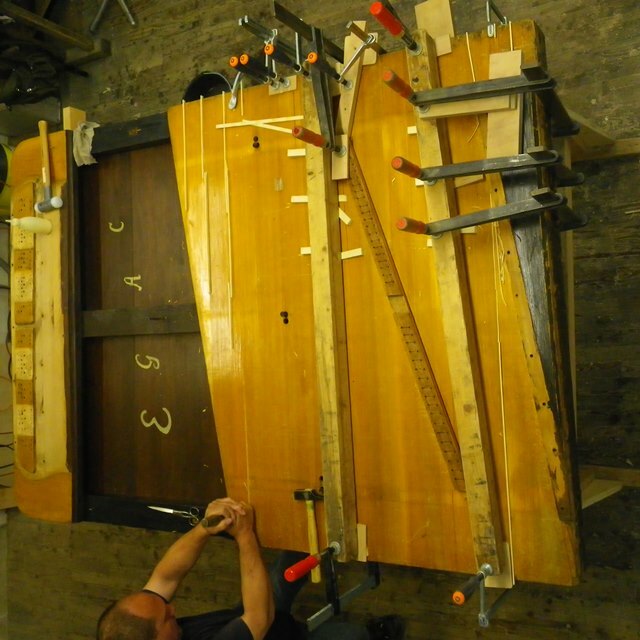 Driven by the interest of visitors and professional musicians, in 2015 the Steingraeber piano master builders rebuilt the Parsifal Bells from 1912-1914, see above. 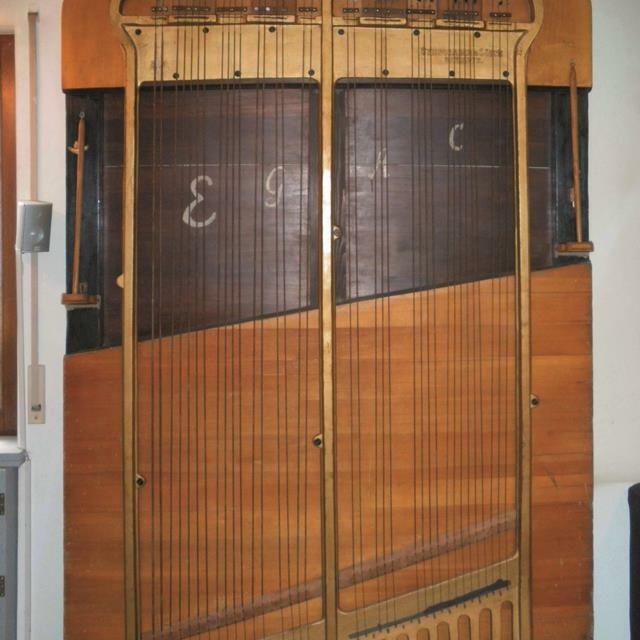 Eduard’s son, Burkhard Steingraeber, built what was called the “hammer dulcimer” for Siegfried Wagner and Karl Muck in 1927. 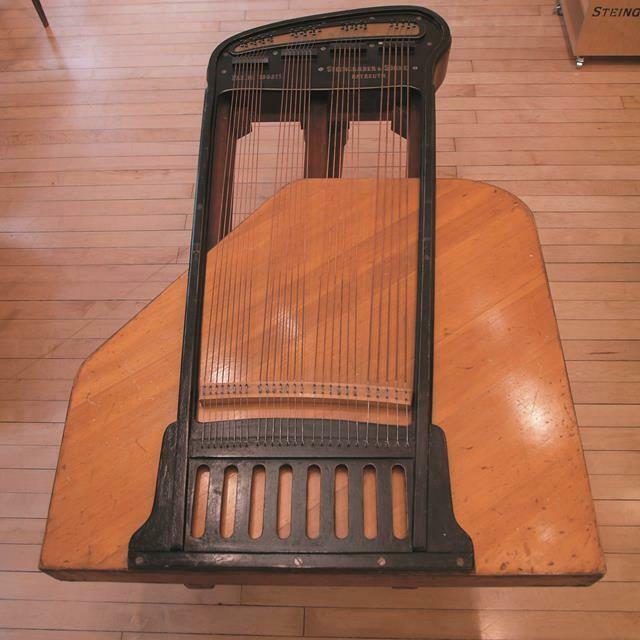 In combination with tone barrels, it provided a kind of “double action”: The hammer dulcimer and the original 1882 Parsifal bell instrument produced the fundamentals in the deep bass register. All kinds of secondary instruments, such as tone barrels with hanging saw blades, were used for the brighter overtones, and tam-tams were used at the 1882 premiere. 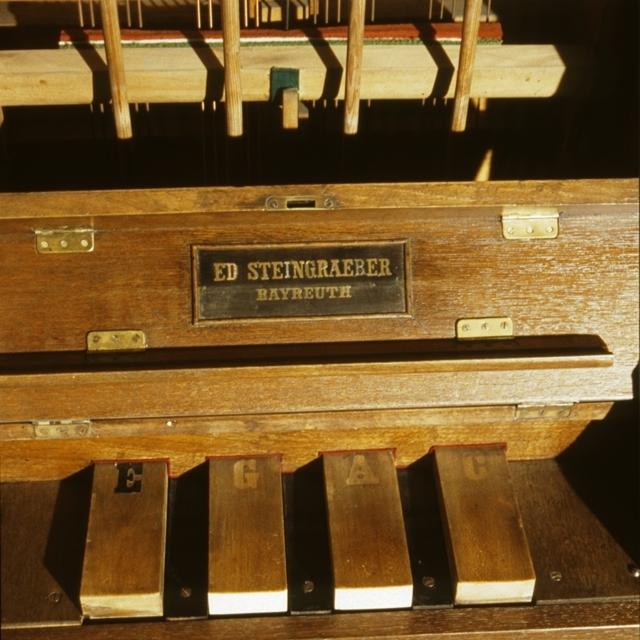 From 1975-1981, Wolfgang Wagner used the 1882 Eduard Steingraeber Parsifal bell in combination with a Moog synthesizer. 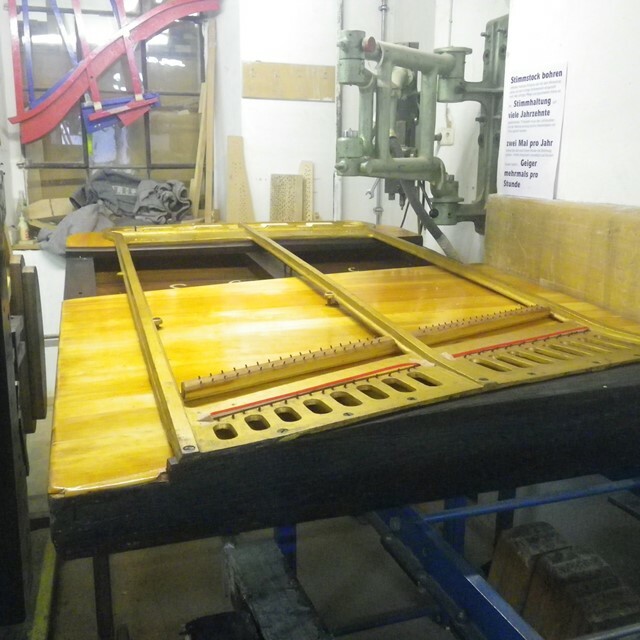 Siegfried Wagners “hammer dulcimer” was restored at the Steingraeber workshops during June and July 2013. It is in private property. 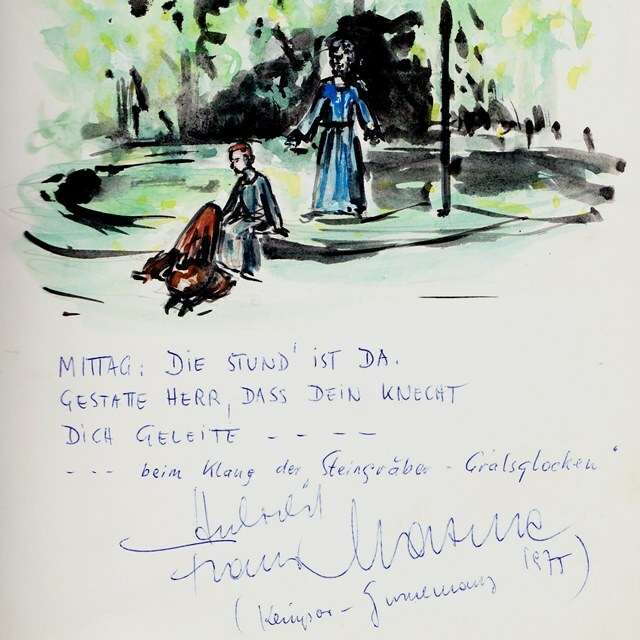 1975, the famous Franz Mazura wrote in the guest book of the family Steingraeber. At the Bayreuth Festival he acted as Klingsor and Gurnemanz. See the copy of the guest book here.